It’s Domino’s Pizza time!!! My favorite Pizzas of all! Thanks omy.sg & Domino’s Pizza for the invites! Domino’s Pizza never fail to feed us with lots of Pizzas during the Party!! They are forever generous, always love to attend their events! Before I go in details of the Party, I want to inform you guys a Awesome Mega Take Away Offer from Domino’s Pizza! In celebration of Domino’s 3rd Anniversary, they are having this Mega Take Away Offer!!! And its only valid for 3 days!! From 5 to 7 Oct 2012!! ** Do take note, its only available for dine-in or take away, faster go to your nearest Domino’s Pizza outlet and order now!! At the start of the event, we were welcome by Domino’s KL personnel and also announced the winners of the previous Domino’s Inter Blogger Contest! 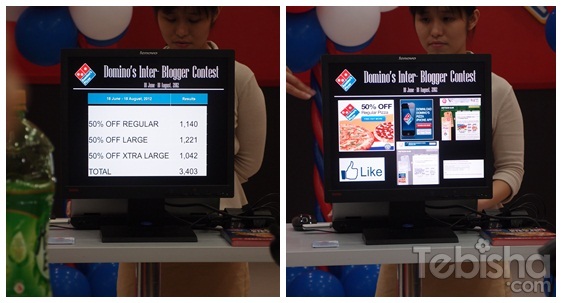 During the Inter Blogger Contest, Total No of Pizzas Sold: 3,403!! And the grand winner of all the bloggers is William Tan!! Congrats to him, he won $1000!! 75% of the total sales during the blogger contest comes from his blog! Pizzas finally on our tables and let’s start partying! This is my all time favorite!! Must try!! I love their Spicy Drumlets as well! I can eat the whole box! And guess what! Domino’s gave each of us a choice of Chocolate Lava Cake or Caramel Sticky Dessert! I choose Caramel Sticky Dessert as I haven’t try it before. And I’ve made the right choice! I’m a caramel lover, totally in love with this cake!! I even tabao 1 back home for my next day breakfast!! And Jocelyn! She’s a Kpop Lover as well!! And before the event end, its a must for Group Photo! With all the winners of the Blogger Contest! Once again, Thanks omy.sg & Domino’s Pizza for organsing this super fabulous event! I enjoyed the Pizzas and food! Always love Domino’s! 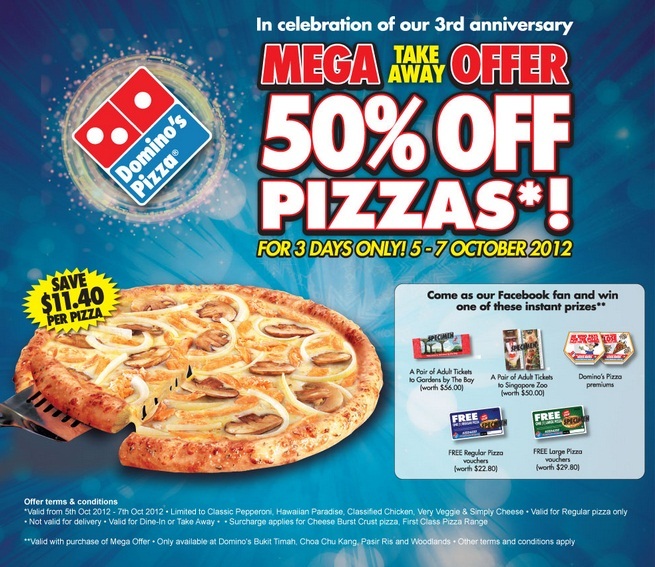 Do visit http://www.dominos.com.sg for more offers! or Call 6222 6333 for Delivery now!